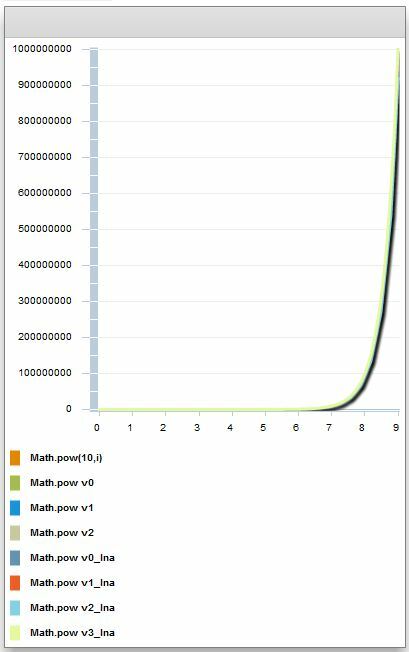 In a previous post, (here), I presented a fast way to compute 2^x, what about a^b , or Math.pow(a,b), can we create an alternate faster method ? 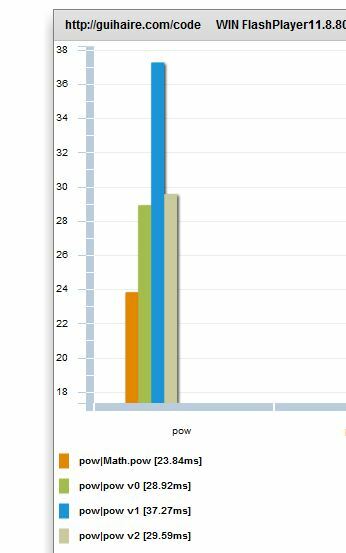 how fast are our 3 versions compared to Math.pow(a,b)? now, what if you need for example to compute lots of pow(10,b) , so the “a” parameter (a=10 here) is fixed ? 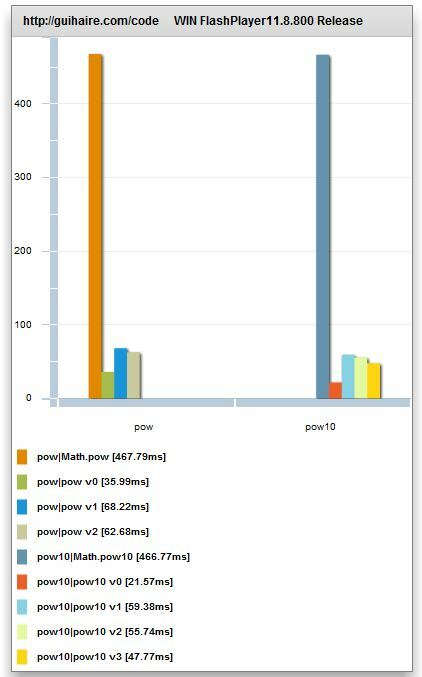 On Windows 7 with an Intel Xeon W550 I’m seeing Math.pow equal the “v2″ version and and narrowly beat out “v3″ in the 10 version. I’m still interested in seeing how a lookup table would fare. is not a good test, I think the flash player has some code that detect that the local variable is assigned for nothing, and I suspect the Math code to by bypassed. 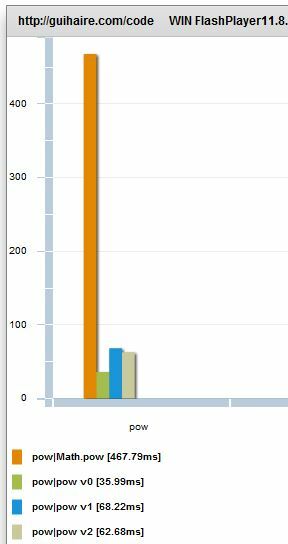 notice the += … and I updated the results and the swf in the post !